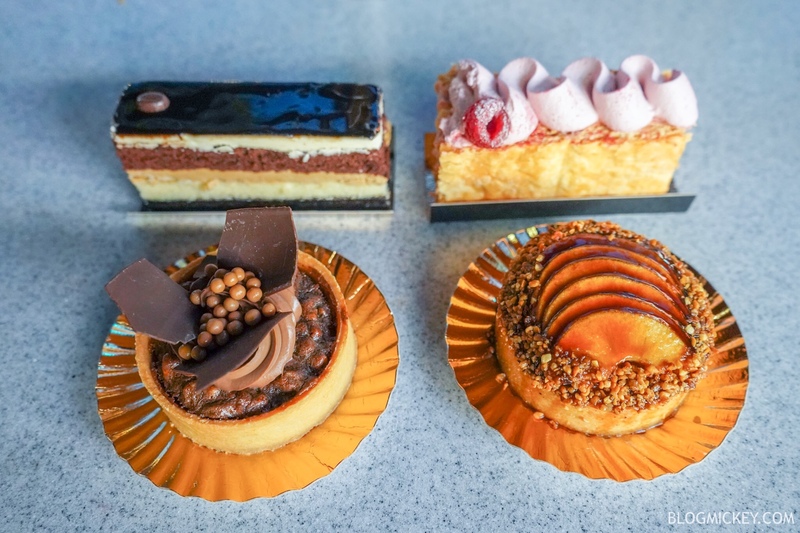 There are four new treats at the Hollywood Studios Starbucks, aka the Trolley Car Cafe. The treats arrived at the beginning of the month and they’re part of the grab-and-go section which means they’re all prepared ahead of the point of sale. Let’s see how the new Trolley Car Cafe treats stack up! First up is the Raspberry Napoleon. 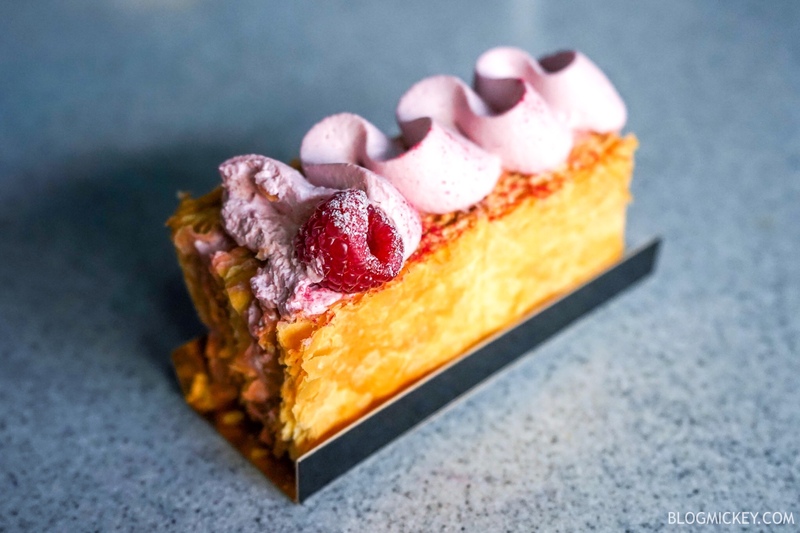 It features a layer of raspberry frosting on top of layers of alternating flaky pastry and more raspberry frosting filling. The strength in this dessert is the raspberry flavoring. It was strong and creamy. Fans of the fruit should enjoy this dessert. The main weakness of the dessert is in the construction of the flaky pastry. 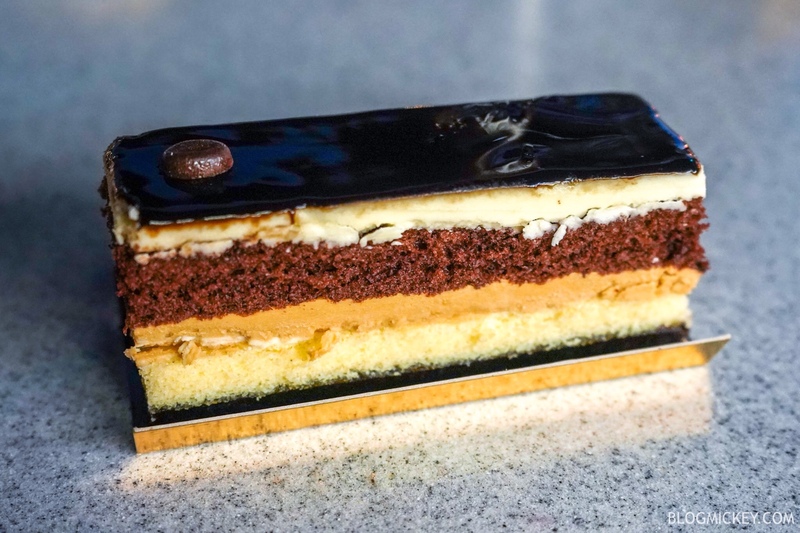 The layers are organized vertically, which make this a nearly impossible dessert to “pick at”. We found that you had to carefully saw a piece off with a knife to avoid making a huge mess. Overall though, the flaky pastry was baked well and the frosting was surprisingly forward. It’s a good dessert if you’re ok taking some time out of your day at Hollywood Studios to sit down and enjoy. When eaten as a whole, this hits the palate like a sponge cake. It’s not overly sweet and the latte flavoring doesn’t really come through. The only exception to that is the small chocolate coffee bean positioned on the top left of the dessert in the photo below. That had a lot of latte flavoring that was actually quite enjoyable. I don’t think the rest of the cake does enough to advance the agenda of a “latte cake” and for that reason, it earns a pass. Chocolate petals trap some wonderful sea salt pearls on the top of this dessert. The interior features a heavy chocolate frosting as well as a dense chocolate sponge with embedded pecans. 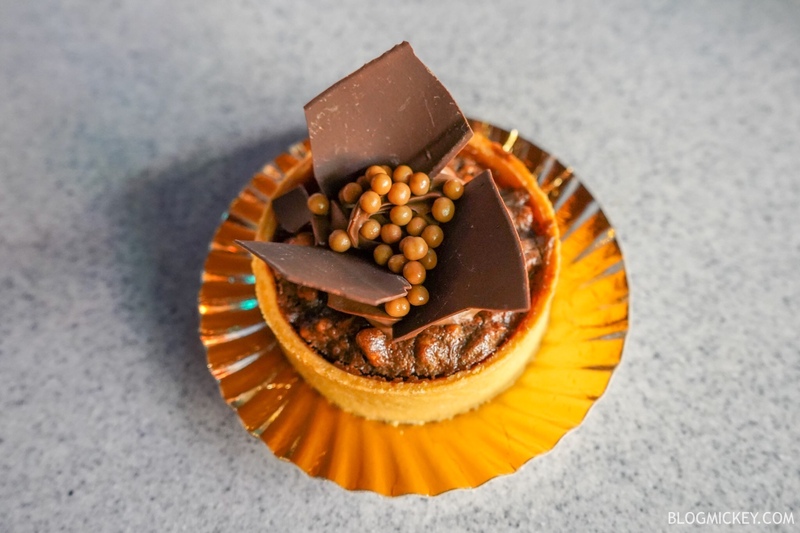 I think that the chocolate and pecan elements worked well together, but were overshadowed by the amazing first bite we had with the sea salt chocolate crunchy pearls. 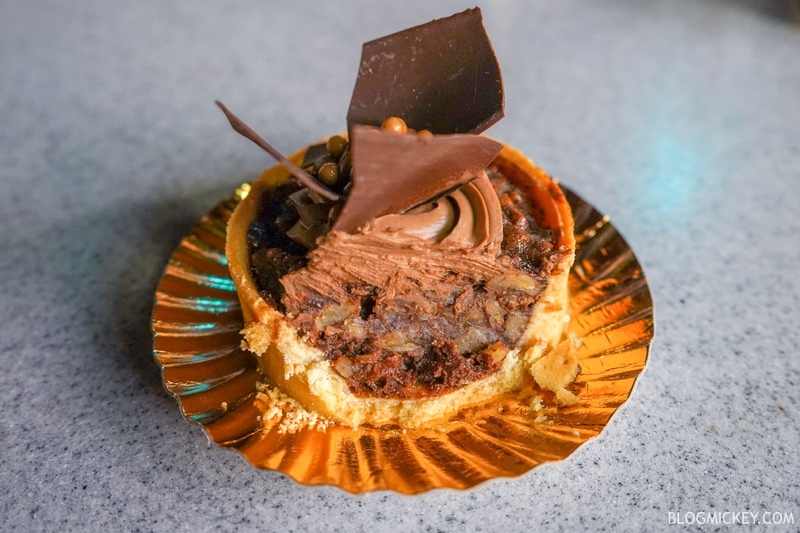 Overall, we can recommend the Chocolate Pecan Tart. 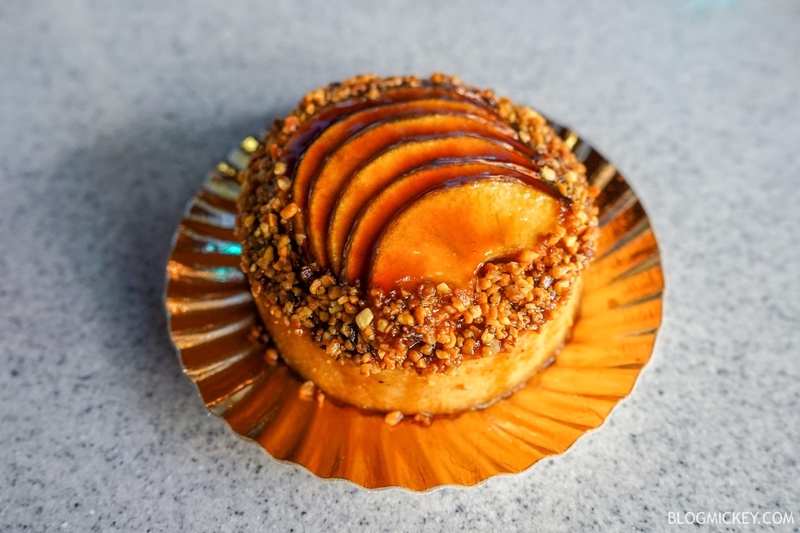 Well, we’ve arrived at the Apple Almond Tart. It’s very almond forward. From a bad, unidentifiable glaze to an overly played almond taste, this dessert earns an easy pass. I guess we should say one nice thing about it, the apple slices were fresh.